Since 1988, Treksta has been developing the newest solution to make the human life more comfortable. To change conventional heavy and stiff hiking boots, Treksta was the first in the world to develop the ‘Light trekking boots’. For more than 25 years, Treksta has remained itself as the world leader of light trekking shoes. Treksta’s history of innovation does not stop there. Treksta is constantly moving forward and taking on new challenges. Since Treksta launched its clothing lines in 2004, Treksta has been able to establish itself as a complete outdoor sports wear brand. The invention of NestFit Technology has also added much more sensation to the world. This patented technology allowed us to realize that our conventional style of shoe shapes are wrong. This exclusive NestFIT™ technology, found only in TrekSta shoes, provides a natural habitat for toes, heels and arches. TrekSta shoes look different. And when you put them on, they feel different too. Different and better. The name Treksta was originated from the company founder D.C. D.C had a strong will to build a company that will become a star of trekking. For D.C, it was very important to make shoes which could light people’s paths just like a star at night. As a result of innovative efforts, in 2009, Treksta was ranked 16th in the world among the leading outdoor sportswear brands, and Treksta keeps moving forward to become the first ranking in the world by the year 2016. July 2016 Expanded to 70 shops in England with Cotswolrd Co.
August 2015 Officially ranked No.1 in Asia and 14th in the world for the world outdoor shoes market. July 2014 Officially ranked No. 1 in Asia and 14th in the world for the world outdoor shoes market. November 2012 2012 NestFit SYNC won the grand prize in Busan International Shoe Show in International Smart High shoe Features Contest. April 2011 Treksta obtained a certification of Defense Quality Management System of Defense Agency for Technology and Quality. NestFit Evolution GTX was chosen as 10 Best Trail Shoes in Spanish ABC News. NestFit Evolution Mid GTX won 2011 Editors Choice in US Backpacker Magazine. Treksta entered German, Austrian and Swiss market. Treksta entered Middle eastern market. Treksta entered South American market. November 2010 NestFit Evolution GTX was selected as 2010 Gear of the Year in US Men’s Journal. 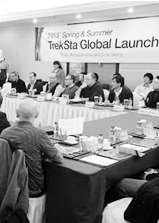 August 2010 KOTRA has chosen Treksta as a foster corporate in the project of World Champ for World-Class Products. July 2010 Treksta ranked 1st among Asian brands in the world outdoor shoes market and officially ranked 16th in all brands around the world, announced EDM, an European media group, in the Outdoor Industry COMPASS. March 2010 NestFit Evolution GTX won the grand prize in 2009 Beijing ISPO CHINA, the International Sports Goods Exhibition. Treksta released NestFit, the technical shoes. Treksta entered Swedish, Norwegian, Danish , Finnish, Chilean, Czech, Slovenian and Italian market. November 2009 Treksta obtained a certification of Korean Luxury Brand in the 2009 Advanced Technology & Design Korea project. September 2009 Treksta made a supply contract with the Korea Military for combat boots. Treksta merged two factory in China. February 2008 Kobra 530 won a gold medal in 2008 ISPO China. January 2008 An independent corporation system of Treksta Co., Ltd was established by merging Treksta and Hyper Grip. July 2004 Treksta was broadcasted in the Secret of Myth Creation, KBS. 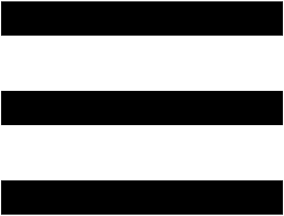 May 2004 Treksta launched its clothing line. February 2004 Treksta acquired a certification of a Korea’s Excellent Company in A/S (Korea’s company of excellent service). September 2002 Treksta obtained certifications on the environmental management system and on the quality management system. January 2001 Treksta was selected as international first-class climbing boots by the Ministry of Knowledge Economy. November 1999 Treksta was awarded US $ 70 million Export Tower. Treksta entered American and Japanese market. December 1997 Treksta was awarded Gold Tower Order of Industrial Service Merit. 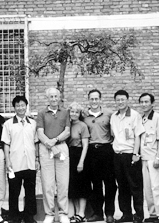 August 1995 Treksta established a first factory in Tianjin, China. January 1994 Treksta brand was launched. Treksta started production of K2 In-line skate. January 1991 Dongho Corporation was incorporated into Sungho Corporation Co., Ltd..
August 1988 Dongho Corporation was founded. ‘Supporting joyful outdoor activities with innovative outdoor products, we contribute ourselves to promote human health and life extension. We create the world’s leading outdoor company with this mission’. Treksta’s core DNA lies in ‘Innovation.’ Through the development of numerous technologies, it has been proven that Treksta is not simply creating ordinary footwear. Treksta is always changing. Since 1988, team treksta has been putting all the efforts for the newest innovations to make our life much more comfortable and enjoyable. This is why Treksta exists today. To accomplish this mission, Team Treksta is moving today, this very moment. When D.C Kwon started the business in Aug 8th 1988, he opened the company under the mission to be the ‘Only One Number One.’ He believed that putting the customers’ needs foremost is the only way to be the ‘Number One’ company in the world. He thought that the number one means the best in everything- Quality, Comfort, and Style. This philosophy still exists in Treksta after 25 years. Treksta is constantly moving forward to be the number one company in the world. November 2012, Treksta’s NestFit SYNC won the grand prize in BISS( Busan International Shoe Show) International Cutting Edge Footwear Technology Contest. September 2012, Treksta, Inc. was selected for the best 500 companies to work for. The selection was made by Korea Ministry Knowledge Economy. Treksta, Recertified for the Excellence in the Service Quality (Korea Standards Association) ; 9 years in a row since 2004. January 2012, Treksta was recertified for the excellence in the service quality (Korea Standards Association, Korea Ministry of Knowledge Economy). Treksta has been certified for its service quality since 2004. 2012 NestFit SYNC won the grand prize in Busan International Shoe Show in International Smart High shoe Features Contest. Treksta ranked 1st among Asian brands in the world outdoor shoes market and officially ranked 14th in all brands around the world, announced EDM, an European media group, in the Outdoor Industry COMPASS. KOBRA WALKING 140GTX won the new technology prize in Busan International Shoe Show in International Smart High shoe Features Contest. Treksta, Obtained the Certification of Defense Quality Management System. April 2011, Treksta obtained the Certification of Defense Quality Management System by National Defense Agency of Technology and Quality. April 2011, Treksta’s NestFIT Evolution GTX was selected for ’10 BEST TRAIL SHOES’ in Spanish ABC News. April 2011, Treksta’s NestFIT Evolution Mid GTX won ‘2011 Editor’s Choice’ in the U.S Backpacker Magazine. Nestfit technology won the grand prize in Busan International Shoe Show in International Smart High shoe Features Contest. December 2010, Treksta won a Presidential Award of Design Grand prize in Design Management. This was the first time in Korean history that privately-hold Company ever won this grand award. December 2010, Treksta, Inc.’s Outsole Brand, ‘HyperGrip’ was selected for the World Champion Product by Korea Ministry of Knowledge Economy. HyperGrip is Treksta, Inc.’s leading outsole brand that ranks the second in the world. November 2010, Treksta’s trekking boots was reselected for the ‘World Champion Product’ by Korea Ministry of Knowledge Economy. Treksta was selected for the ‘World Champion Product’ in 2001, and never fail in selection. November 2010, Treksta’s NestFIT Evolution GTX was selected for ‘2010 Gear of the Year’ on the U.S Men’s Journal. October 2010, Treksta’s NestFIT Technology won Award Winner in BISS( Busan International Shoe Show) International Cutting Edge Footwear Exhibition for the Best Footwear Technology. Treksta developed NestFIT technology; the revolutionary technology provides customized fit to your feet and reduces fatigue up to 31%. 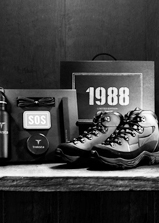 July 2010, the outdoor Industry Compass announced the ranking of the brands in International Rugged Outdoor Footwear Market. In this announcement, Treksta was ranked the first in Asia and 16th in the world. Treksta, Recertified for the Environmental Management System Consecutively since 2002. March 2010, Treksta got recertification for the Environmental Management System. Treksta got the certification in 2002, and never has failed to get certification since 2002. December 2006, Treksta’s HyperGrip was selected for ‘The Next Generation World champion Product. July 2004, the documentary film of Treksta, ‘The Secret of Creation Myth.’ Was broadcasted in KBS; National Broadcasting Channel. January 2001, Treksta’s trekking boots was selected for the ‘World Champion Product’ by Ministry of Knowledge Economy. November 1999, Treksta was broadcasted in MBC’s program, ‘Success Age.’ MBC is the National Broadcasting Channel in Korea.